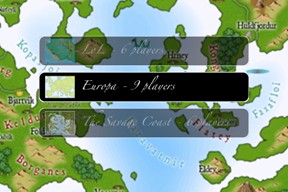 Effervens has launched its first software for the iPhone platform: iWars, a turn-by-turn strategy game with big and gorgeous maps. iWars is available for both iPhone and iPod touch on the AppStore at the price of 2,99$. In need of a mobile software ? Indeed, we can see more and more people using a mobile internect device (iPhone, iPad, Android...). Porting your software under these new platforms looks complicated ? Effervens propose a solution for the porting or the development of new softwares targeted to mobile platforms and help you to succeed on this market. There are too many competitors in your field? Creating a brand can help you differenciate and stand out of your competitors. We offer Corporate Design service that include creation of your personality, logo and etc. You wish your current eCommerce platform had an accounting function? monthly purchase reports? supply management and many more ? There are as many different needs as companies. Effervens customize and add as many extras functions as you like in a premium opensource eCommerce platform : Apache OfBiz.